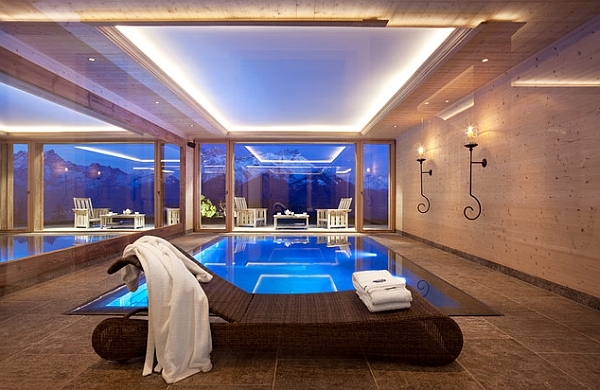 We often tend to talk about bracing for the winter chill and how we need to revamp our wardrobe and prepare our home for the cold and unforgiving months ahead. 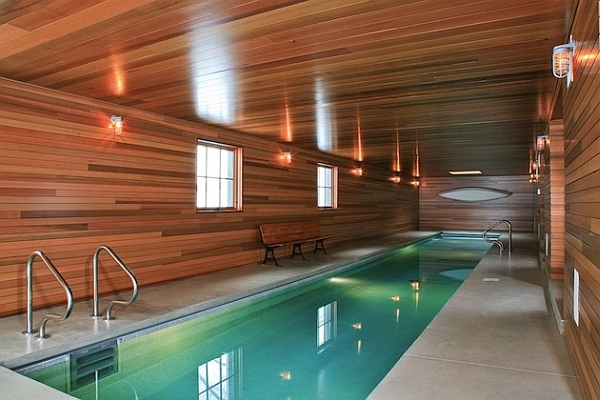 While insulating your home and switching over to snug, cozy textiles can solve most of these issues, it does little good for the swimming fanatic in you! 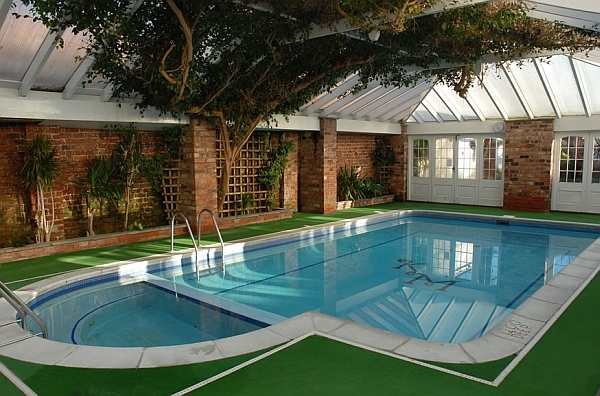 Taking a dip outside in the winter months can be quite a daunting experience, and the best way to tackle the problem is by bringing the pool indoors. 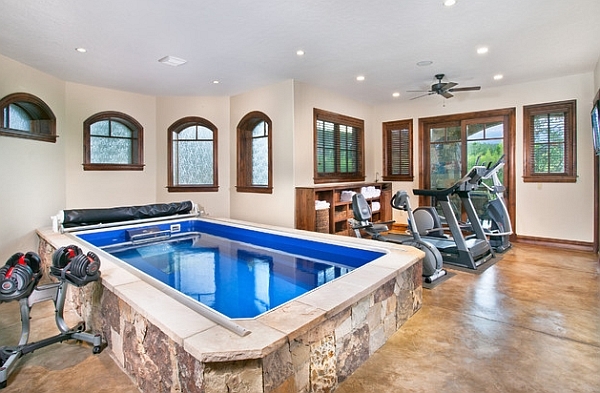 Indoor swimming pools are quickly becoming incredibly popular, thanks to the many advantages and year-round benefits they offer. 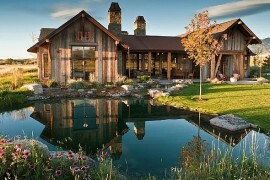 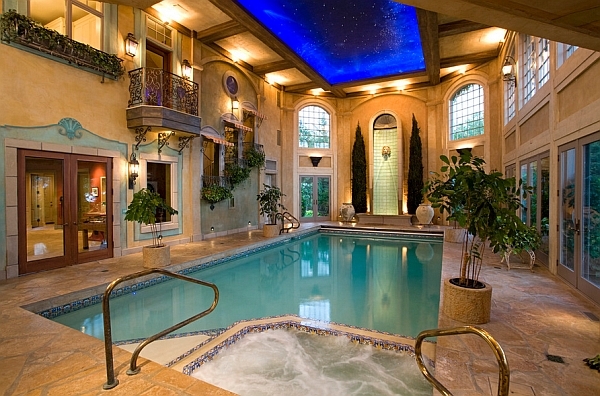 A Spectacular and Sensational Escape! 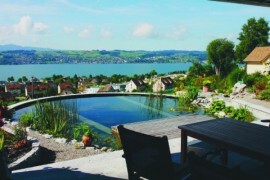 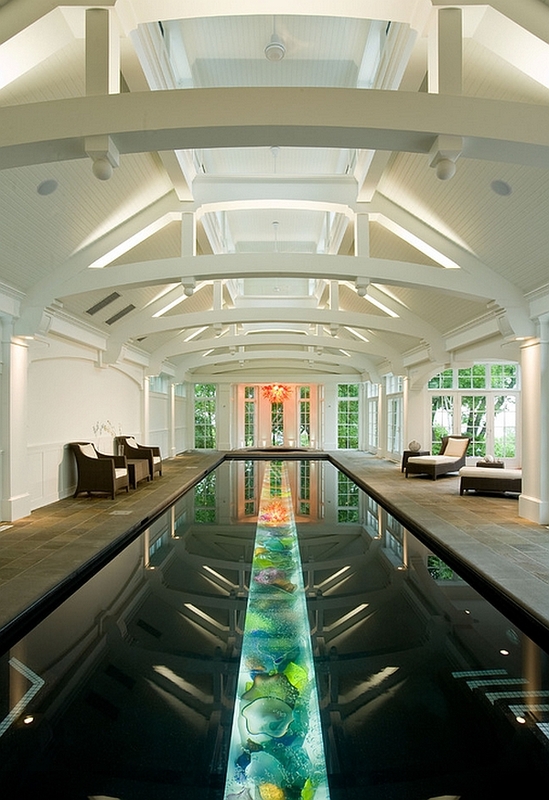 One of the popular design themes for contemporary indoor pools is to create ‘a-world-within-a world’. 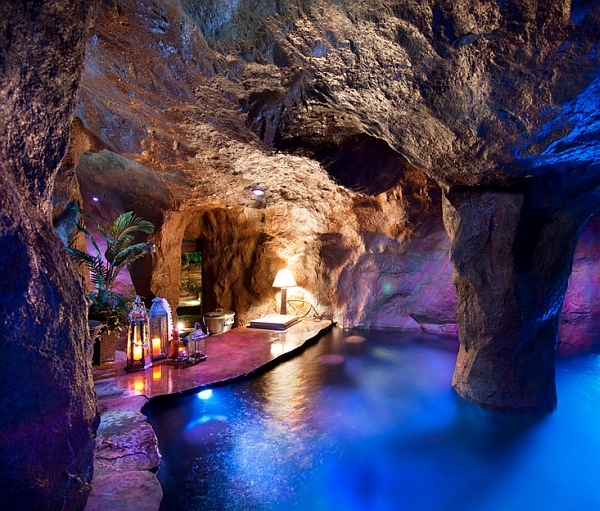 This magical setting allows you to escape the mundane rush of your life and often transports you into a surreal alternate world that is far away from your busy urban life. 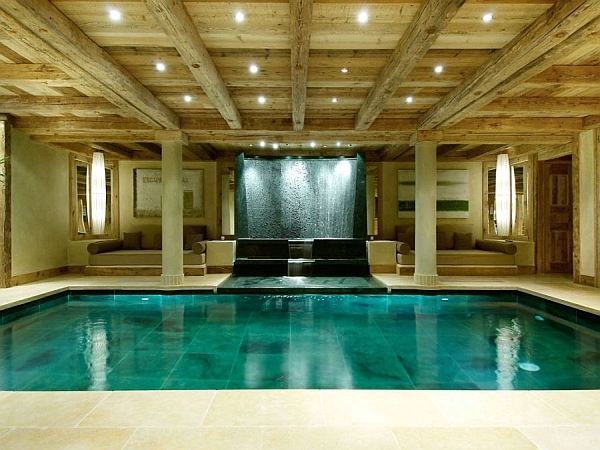 Themes for such extravagant indoor pools vary depending on both the available space and your own personal preference. 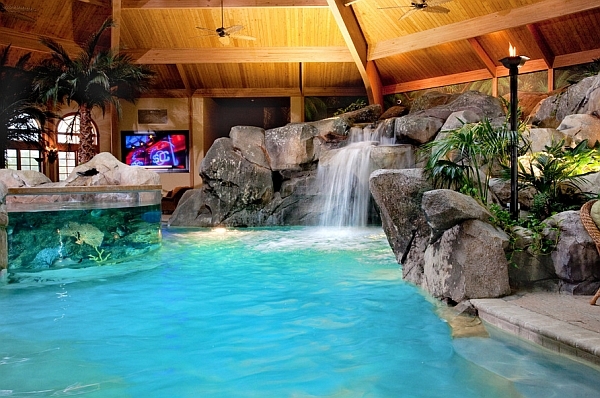 You can use a few exotic plants, a lovely waterfall feature set in natural rocks and the right lighting to create a tropical getaway that is just a few steps away from your living room. 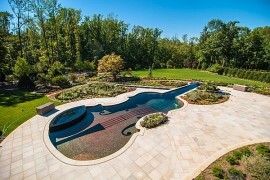 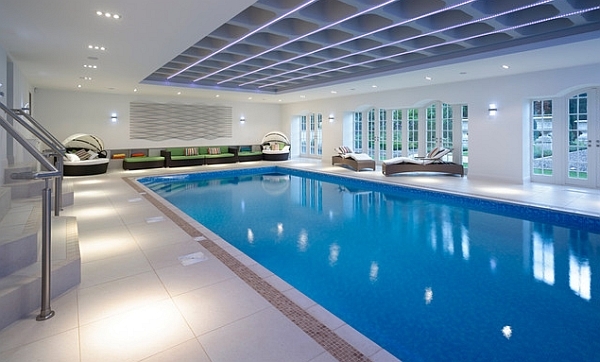 Who needs a holiday when you have a pool like this at home? 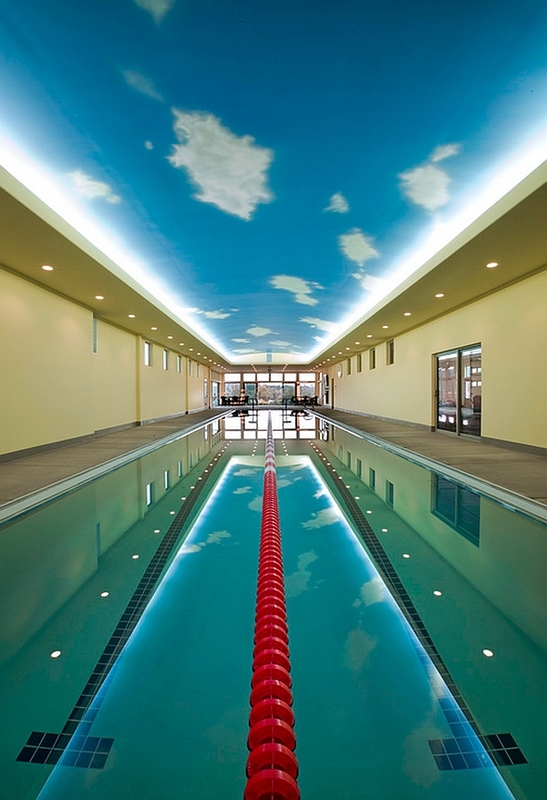 Painted ceilings and LED light fixtures can replicate a star-studded night sky, while luxurious indoor pools with a sauna and Jacuzzi can transport you to a Vegas-like backdrop. 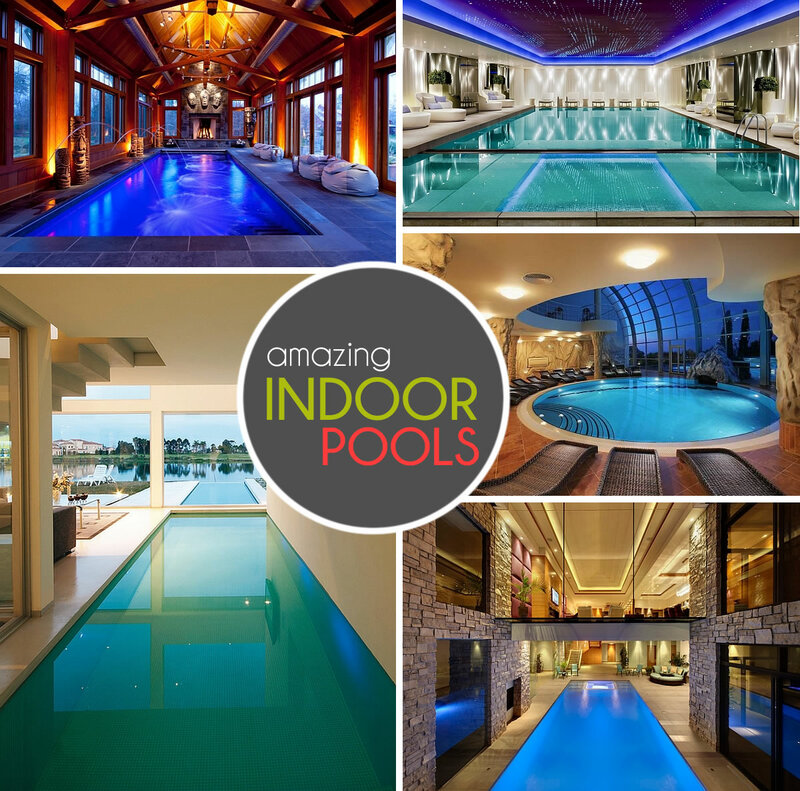 Brilliant and incredible, many of these indoor pools successfully create a whole new world around you! 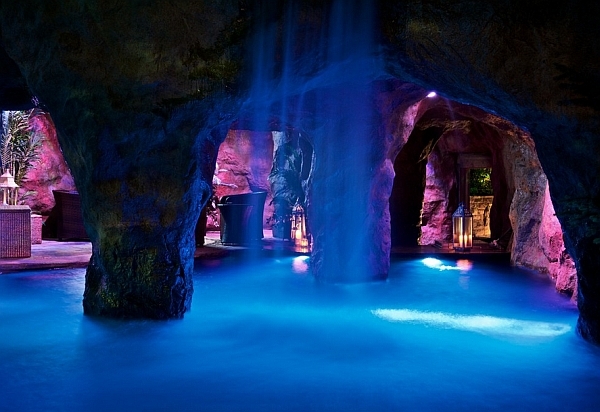 Waterfalls and swim-through grotto that leads to a swim-up bar! 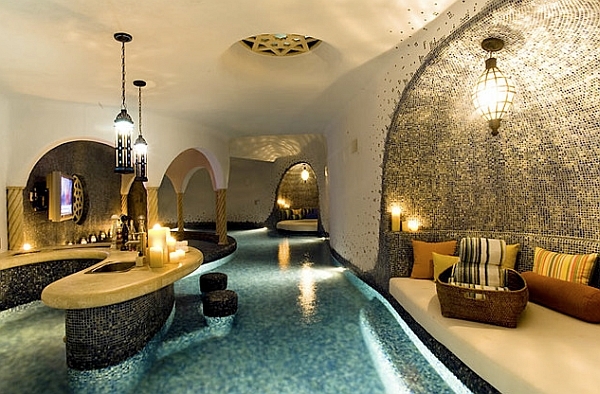 Moroccan-styled indoor pool with a bar! 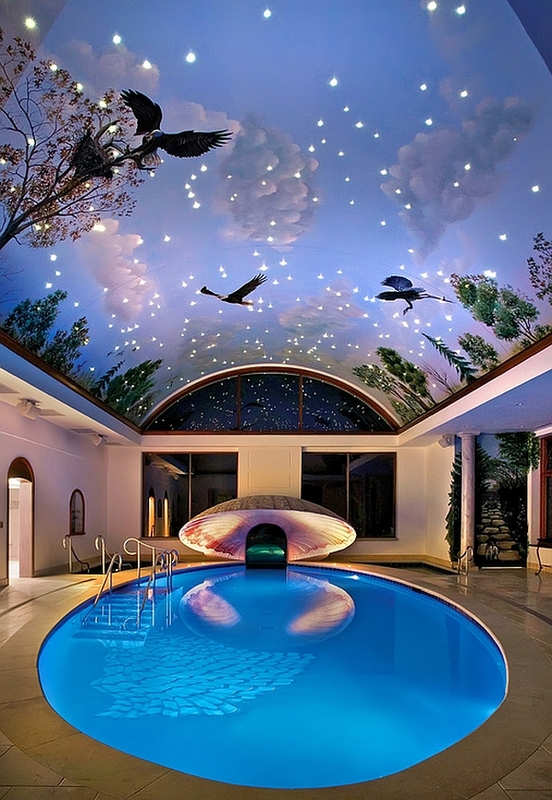 Imaginative painted ceiling and pool for those who love a bit of drama! 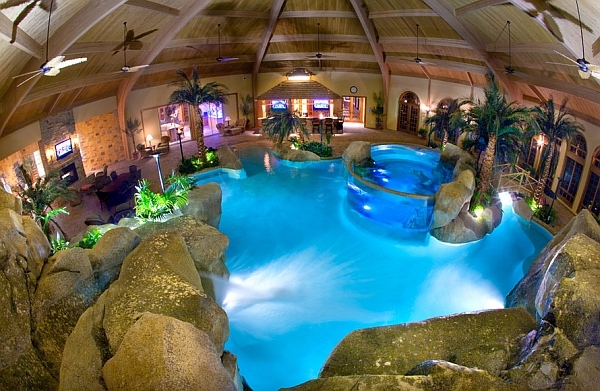 When you think of indoor pools, the image that most often comes to mind is one that is surrounded by stoic concrete walls on all four sides. 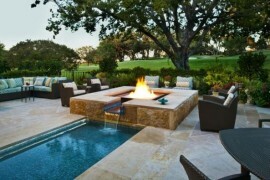 While this design scheme works well in regions with an ultra-cool winter, those having more moderate weather conditions can opt for the perfect compromise. 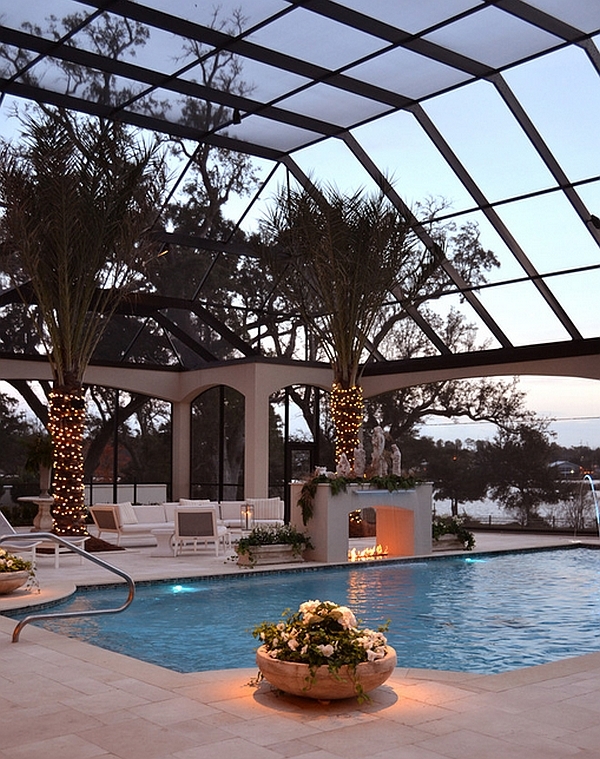 Blending the indoor pool with the outdoor version, transparent screen enclosures and extensive retractable roofs allow you to enjoy the best of both worlds. 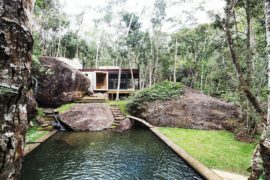 Blurring the line between your indoors and the world outside, these see-through domes allow you to enjoy the view outside while shielding you from the chilly winds. 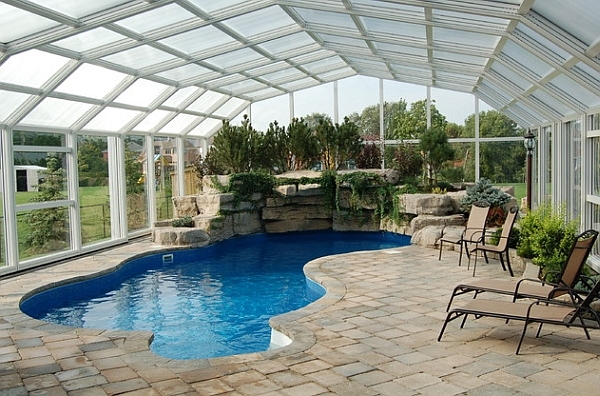 Enjoy the outdoors with the benefits of an indoor pool! 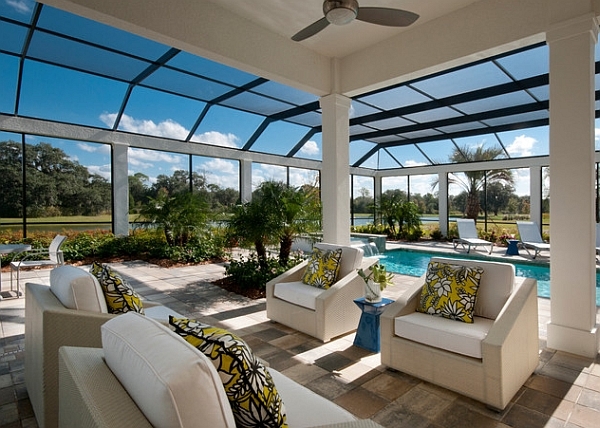 Enjoy the sunshine and the shade! 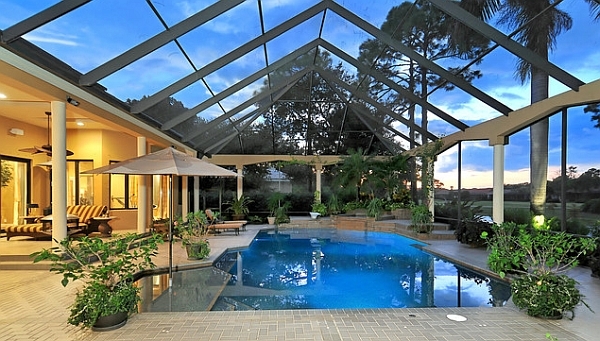 Retractable roofs offer you the best of both worlds! 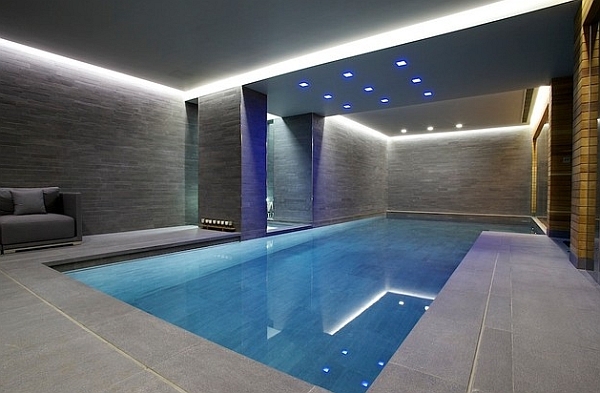 Lighting plays a pivotal role in defining pretty much every room of your house, and when it comes to indoor pools, appropriate lighting is all the more vital. 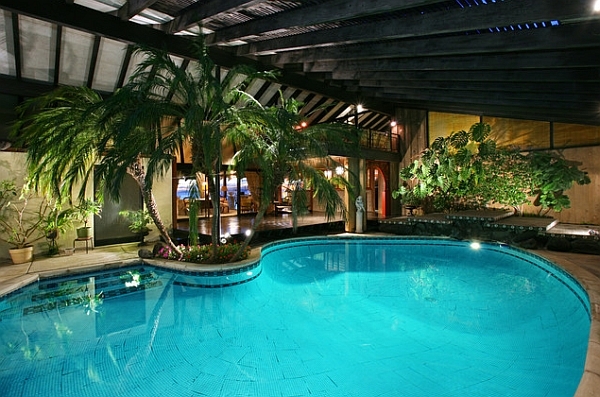 No one likes to step into a pool area that is dark, dingy and poorly lit. 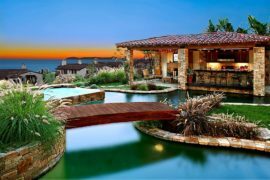 Instead of adding to the appeal of your home, it actually takes away from the overall look. 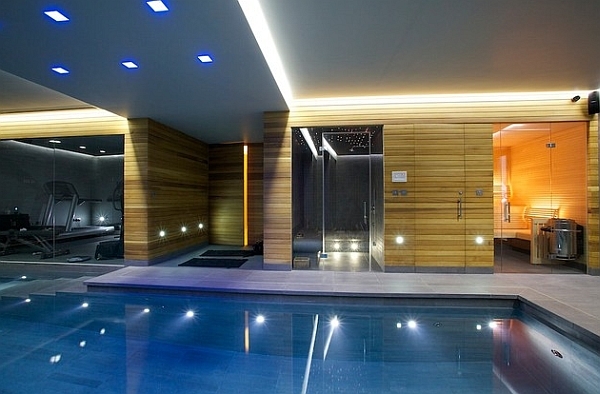 The lighting that you choose for the indoor pool must complement the theme that you have selected for the space. 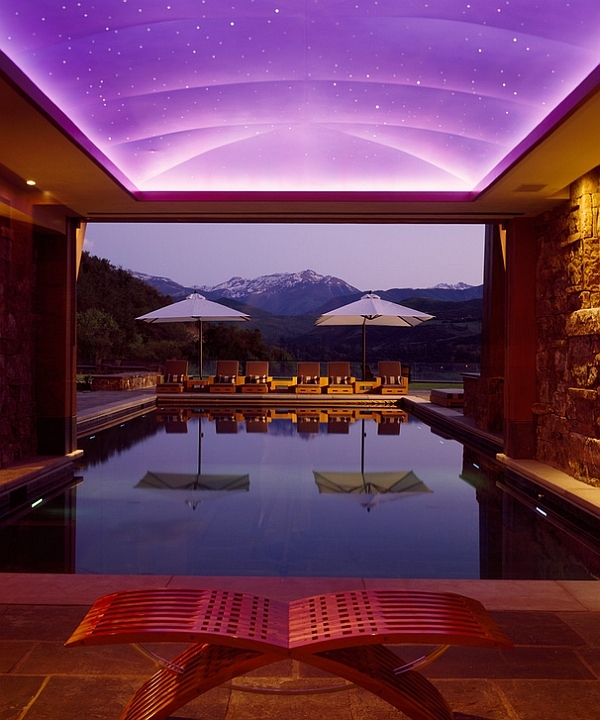 Combine several different layers of lighting for various effects and use an evenly spaced layer of recessed lighting to create the right ambiance. 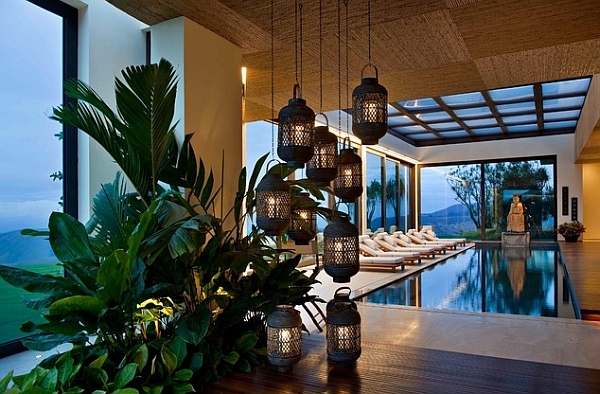 In case you are opting for a more traditional look, use vintage chandeliers and a few candle lantern-styled lights to usher in the right appeal. 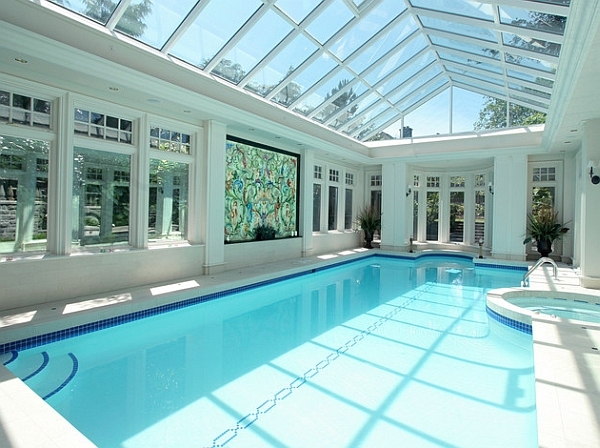 Large glass windows and transparent screens are also a great way to bring in natural light that takes over during the daytime. 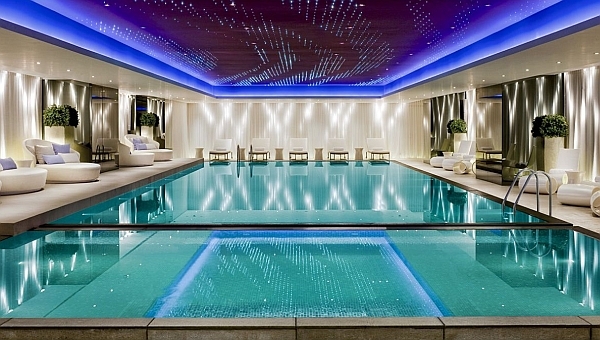 Fabulous lighting not only creates a vivacious indoor pool, it also highlights its key features in a flawless fashion! 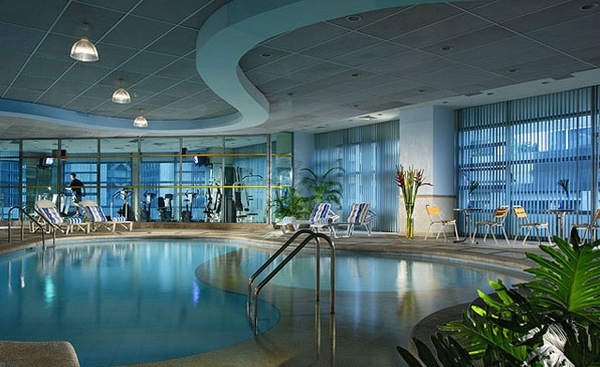 Slide your way to a refreshing swim! 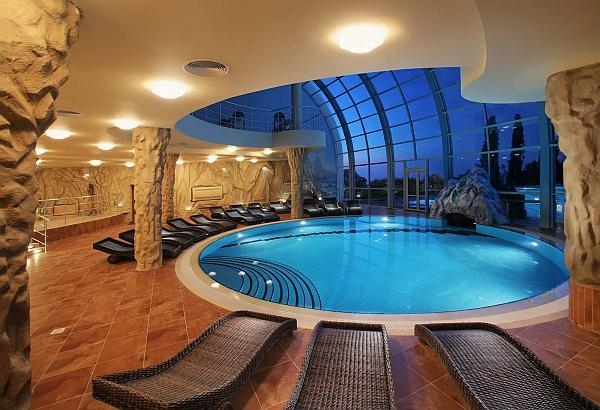 Olympic-sized pool for the next human torpedo! 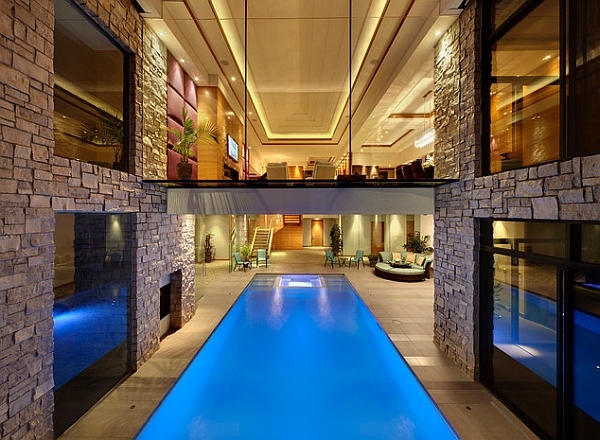 While some prefer an indoor pool that creates a dramatic escape, others tend to prefer a pool that enhances the appeal of their contemporary home. 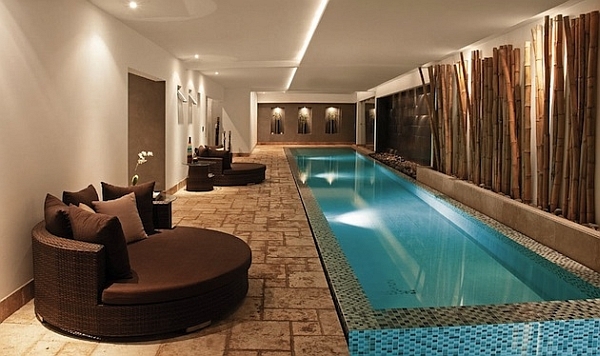 A lavish indoor pool can be visually connected with your living room or dining area and can blend in impeccably with the rest of the house. 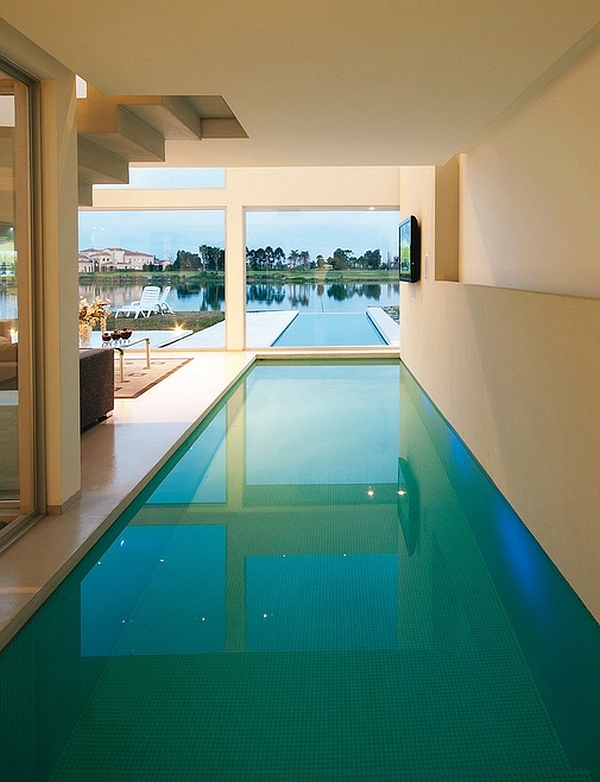 These savvy and sleek pools also require a lot less maintenance and cleaning than outdoor pools, making them an absolute dream. 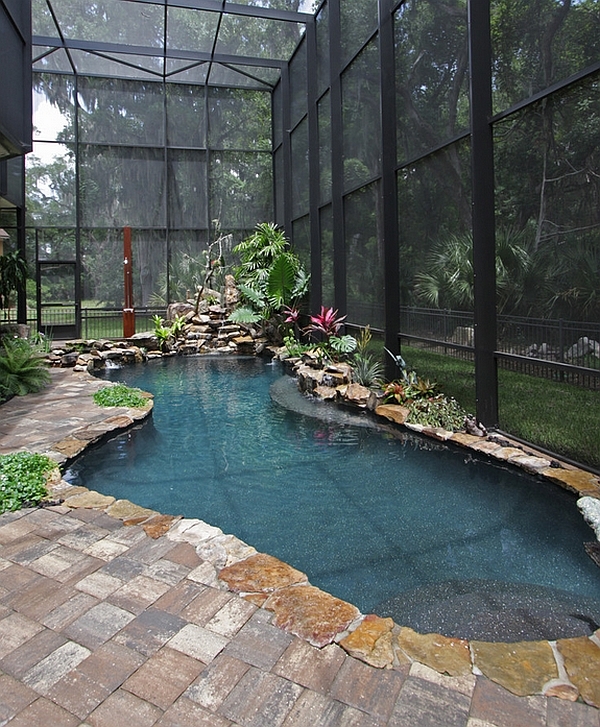 Just make sure that you have the right dehumidifier and climate control systems and you are all set to enjoy endless summers indoors! 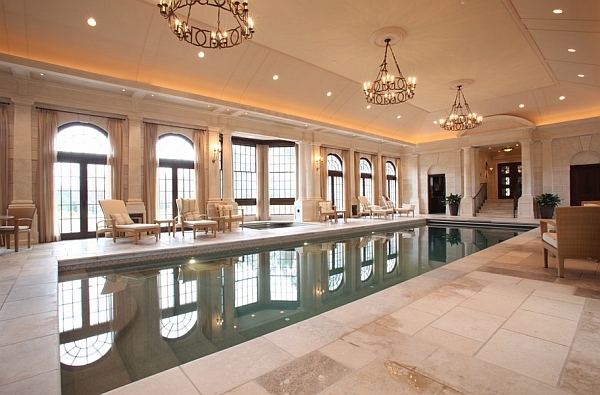 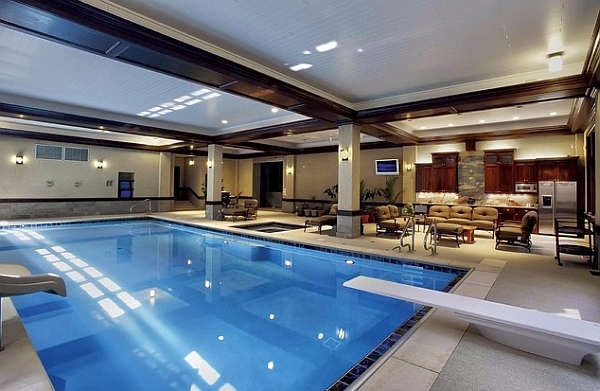 Having an indoor pool is not just about the pool itself. 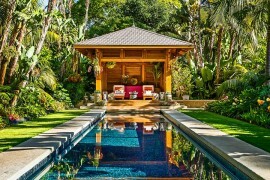 Remember that the decor on the deck space, the tiles, walls and lighting need to be coherent and must feel like a natural extension of the surrounding spaces. 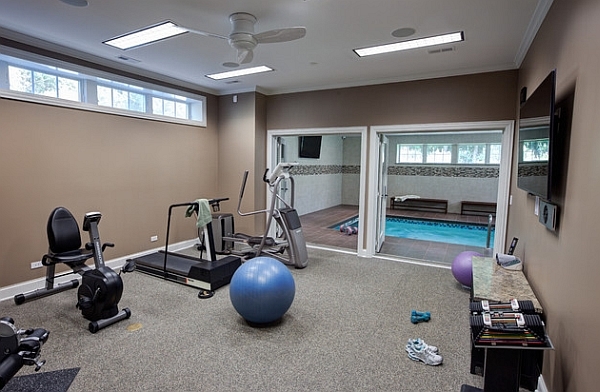 Get it right and you have a perfect addition that is bound to whip both you and your home into top shape!